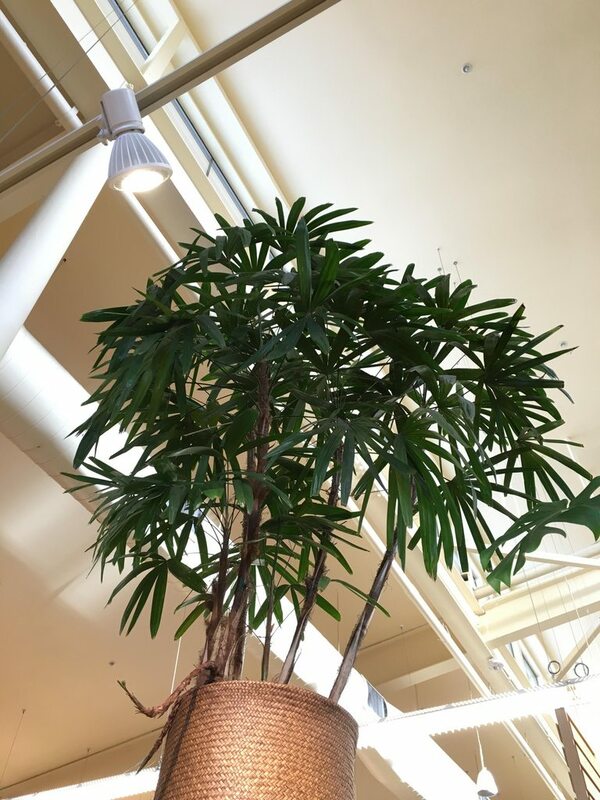 Here is the stunning Rhapis palm that I take care of inside the store I work for when Im not traveling. It gets lots of ambient light and amazing air circulation. That’s a Rhapis excelsa, did you grow it from seed? 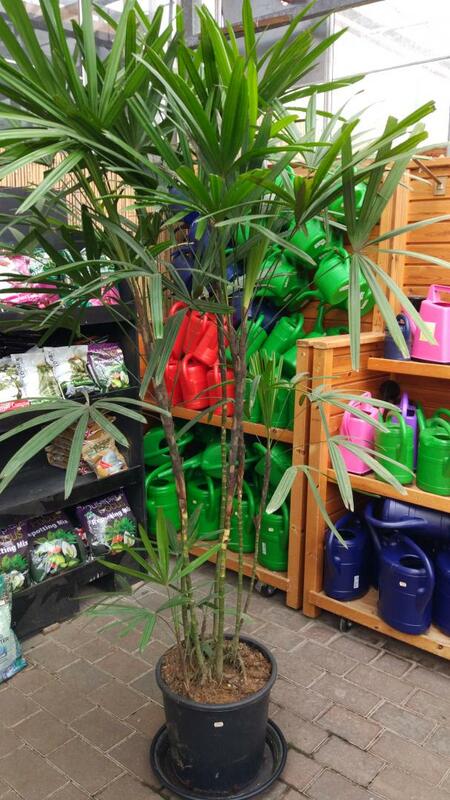 Hello Pal, no I purchased this palm at a nursery. He was severely pot bound when I got him so I gave him plenty of room in this glazed pot. I seperated some suckers and potted them up as well. 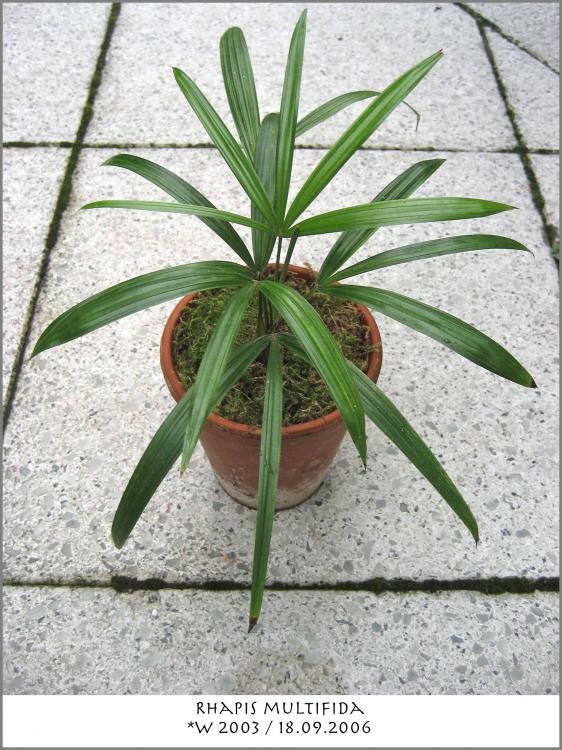 I really do like the look of Rhapis! I'm going to start a separate thread so as not to highjack the quality message of this one. 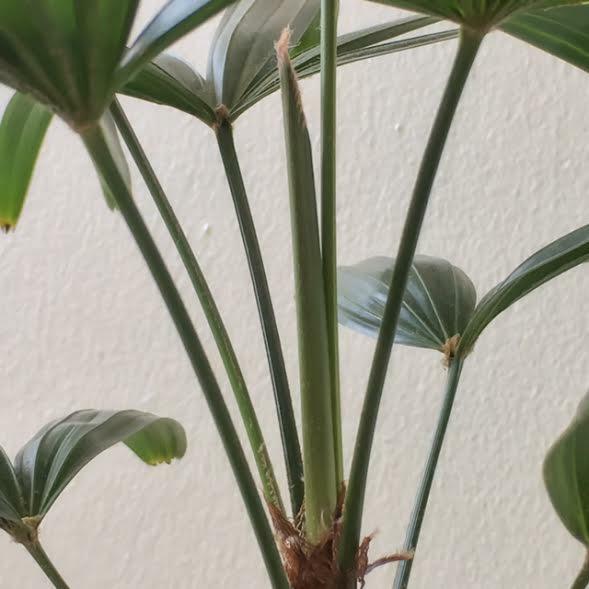 I love the look of a healthy rhapis too! Also a sick Rhapis is a good Rhapis! I guess your soil mix was not the ideal one: R. needs a very fast draining mineral soil with regular watering, and it must not dry out. Beautiful visuals gentlemen, Do any one here grow the following Rhapis of my choice ? Rhapis Humilis and Rhapis Multifida,visuals of these is much desired. I do have one variety which i will post that still when possible. Heres that still...uploaded from my android phone. Thanks for the visual dear pal meir. A little late to the party, but always love to keep a good thread going. 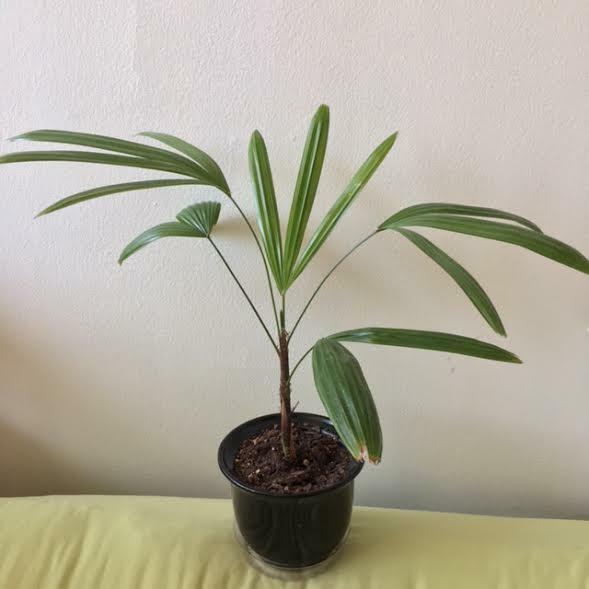 I've always loved Rhapis but I've never had one of my own to grow, until very recently. 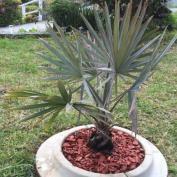 I got this little single stemmed young Excelsa a Couple of months ago. The emerging and opening fan was barely half way out then. This photo was taken 1 week ago and now that fan is nearly half way open. I'm hoping that this main trunk gets some good height before the suckers start to grow. It's got 3, but only one has extended and starred to curve upward. I still am waiting to find the right Multifida as those are my favorite Rhapis. I've been looking for that for over a year now. 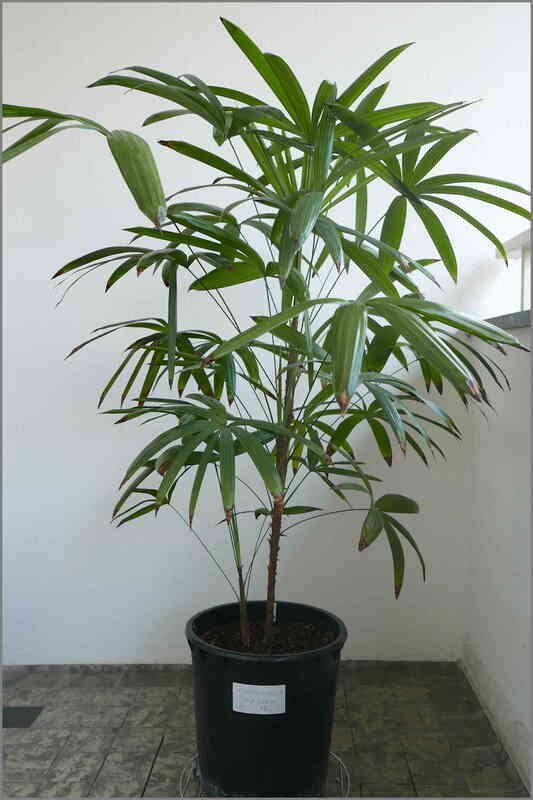 Anyway here is the little Excelsa. that new leaf is now fully open and another is not far behind. Woohoo! I trummme off the oldest two "seed leaves" as well. They just looked "old" and a little ratty. So now it's got a small trunk even. :-). Ooh thats a pretty one. Are you going to break off a stem for the garden ? Hi Peachy I dont know how to separate them ? Simplicity itself dear boy. Pick a nice healthy stem with a good leaf/ leaves, dig it out of the dirt a bit and find the runner section that joins it to the others, cut that, then plant the bit you separated. Give it a drink of seaweed liquid, keep it moist and you won't have any problem. So what is seaweed water? Why is it beneficial and where does one find that? Just curious. Liquid seaweed is like a vitamin tonic for plants. Great for use after planting or repotting and a monthly pick me up for the garden in general. Seasol is the most well known brand but most garden centres or nurseries have a generic brand as well. Most of them have the same formula. Ah ha! 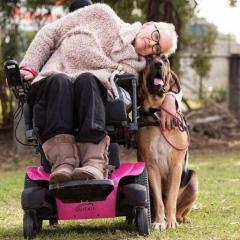 Thank you very Kindly Peachy! I shall order myself some and use it! Thank you!!! 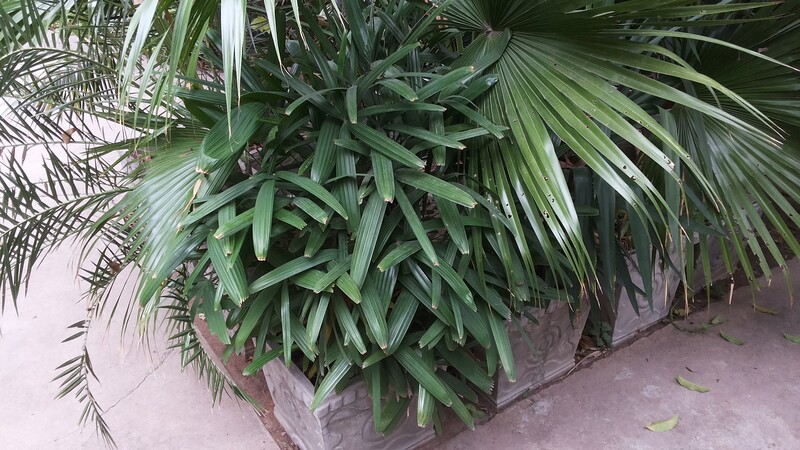 So a few weeks ago or so, on a trip to one of my larger local nurseries with a very large green house, i happened upon a flat of very young, new Rahpis Excelsa palms. 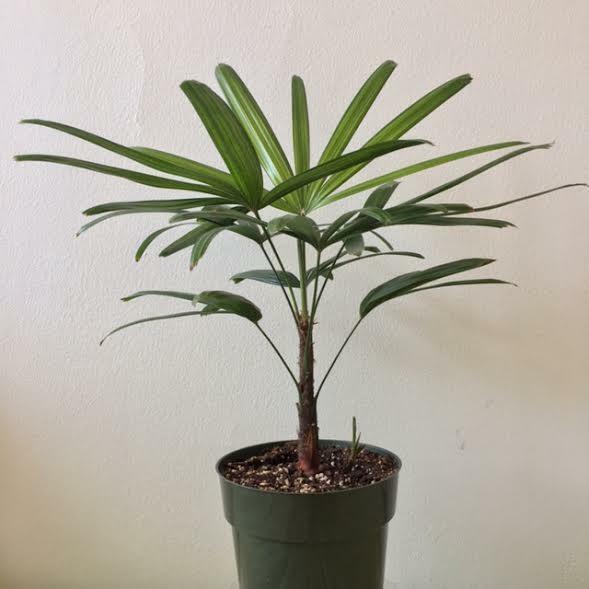 Being the palm freak I am, I could not resist. The best part was they were only $10 per palm. I picked one up. Here it is. I just got home from the long weekend and just on a very cursory glance of the photos of yours I can make two observations. The leaflets on mine look far far more like the photos you have posted. 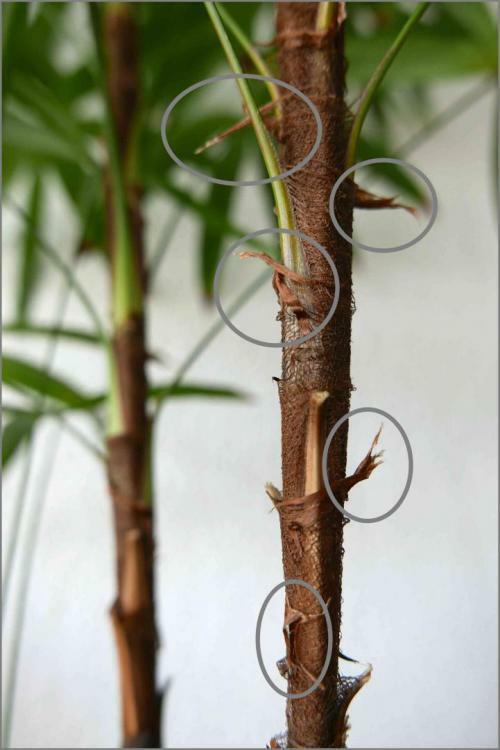 As for the sheaths, I cant really tell as much as the plant is far younger. In the pot there were (are) two leaf sheaths that have long since fallen or been pulled off since before I purchased it. I will get some better photos and inspect it better later today. I You can see though based on the other one that I have how very different looking they are in deed. I can also try and get comparison photos side by side if that is helpful. 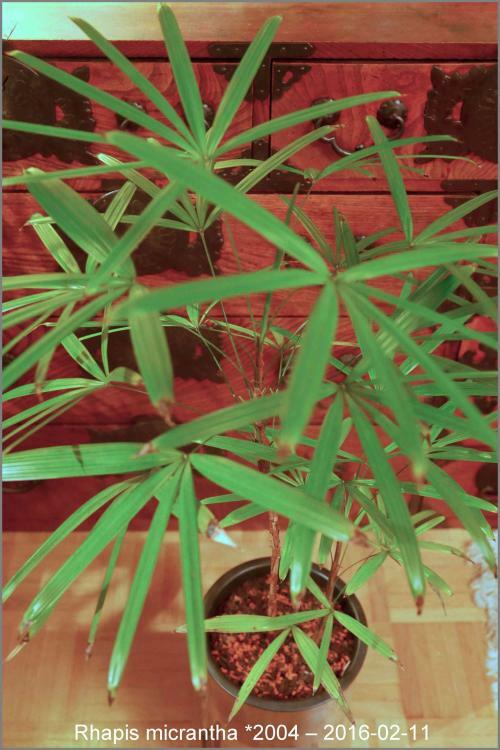 The first palm is looking very similar to the still small 3rd offshoot of my female R cochinchinensis var. laosensis. It does look MUCH more like yours than it does my other one. You can see they are clearly different ( the two I have) which is what makes me think that they are not the same SP of Rhapis. That you see it as well only makes me believe this even more. Just been to the local garden centre and they had four of these. 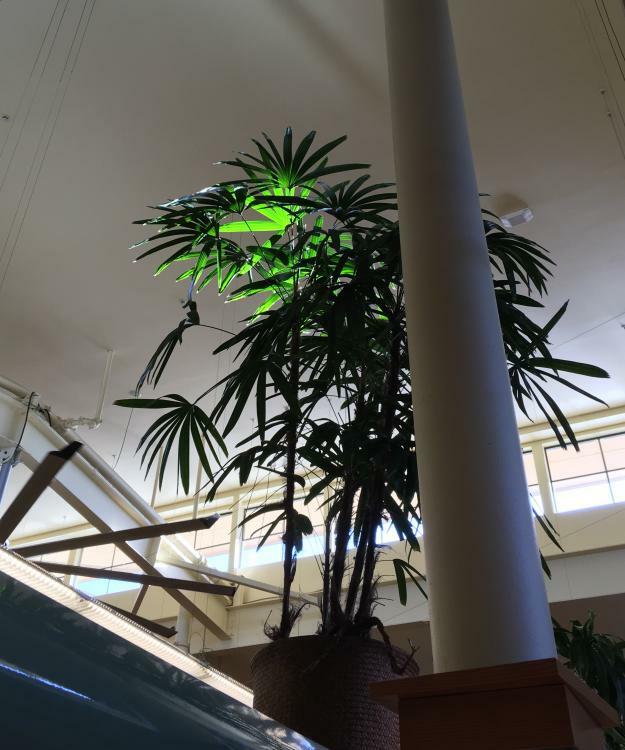 The top of the leaves is about 7 feet high. 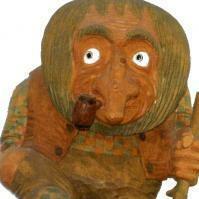 Just wondering whether to buy one as they are relatively expensive! Not a help with species, but those certainly are old. How much are they? Maybe we can get a kitty going for you, after all the Pound has tanked post-Brexit. Haha, it's £60 so about $75. Would have been about $80- $90 pre brexit vote! That's a good price for a plant that size regardless of the post Brexit pound. Does anyone know what species it is? So it has been a little bit since my lasts post about the two Rhapis that I have and questioning weather or not they are in fact both the same species, Excelsa. Since that time they have each put up a new leaf at the same time almost simultaneously. With that, I have made some observations and I also have some photos to demonstrate them. 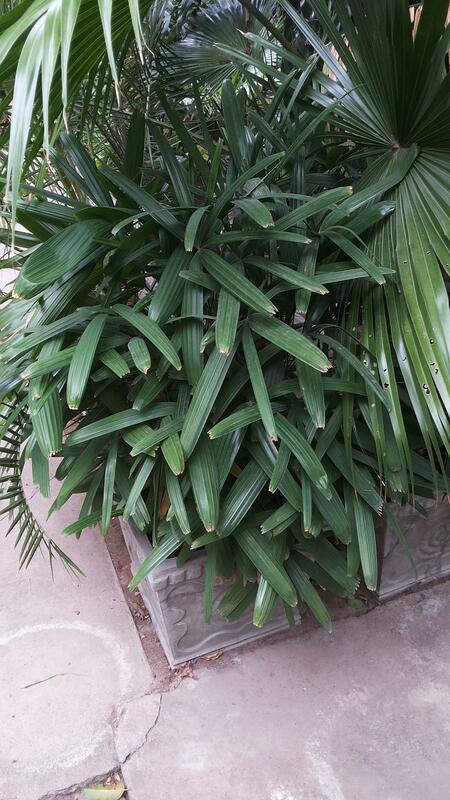 The observations made are that the older of the two palms, grows remarkably faster than the younger. 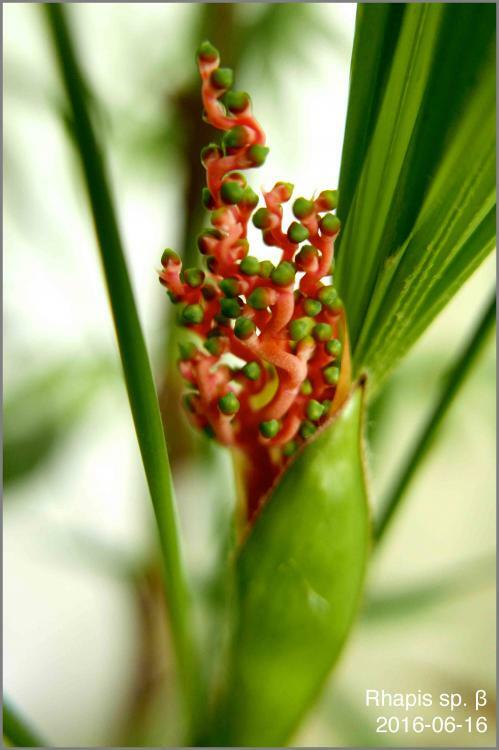 This was observed with the growth of the growth and opening of the new leaf spears. 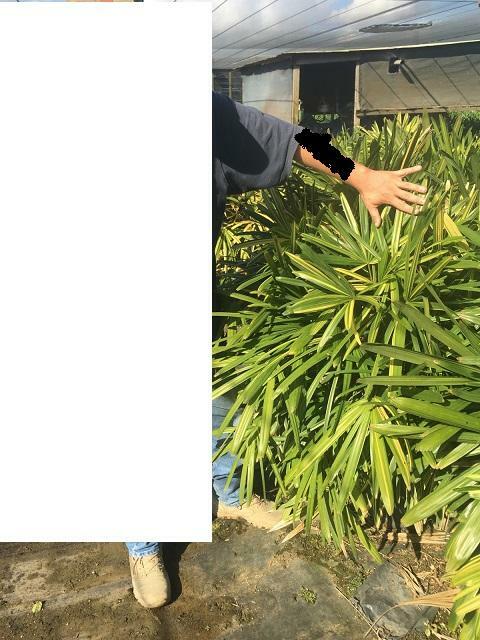 The original post quoted here shows both palms, the day I brought the on in the lower pic home. 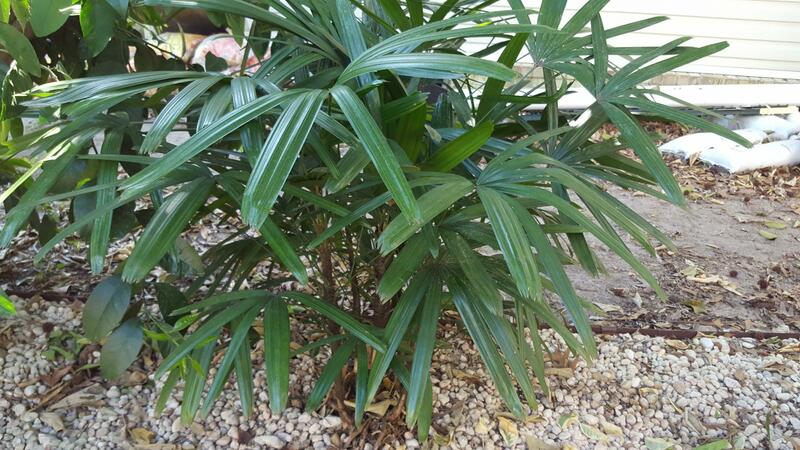 At that time that palm (the one I do not think is Excelsa) had 4 leaves with one emergent spear. 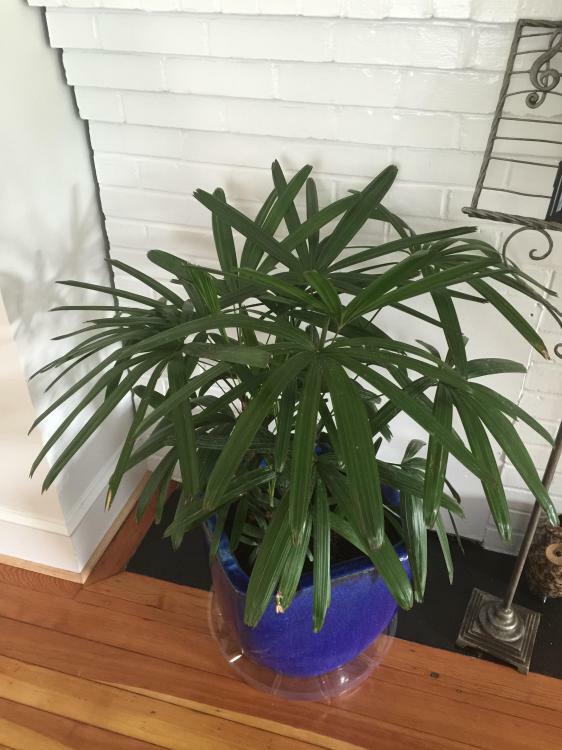 The one that I had had prior had many more leaves with a new emergent spear it had at the time i purchased it a few weeks or so prior. That spear opened and a new one emerged, which is the one you see in the bottom pic of the quoted post. 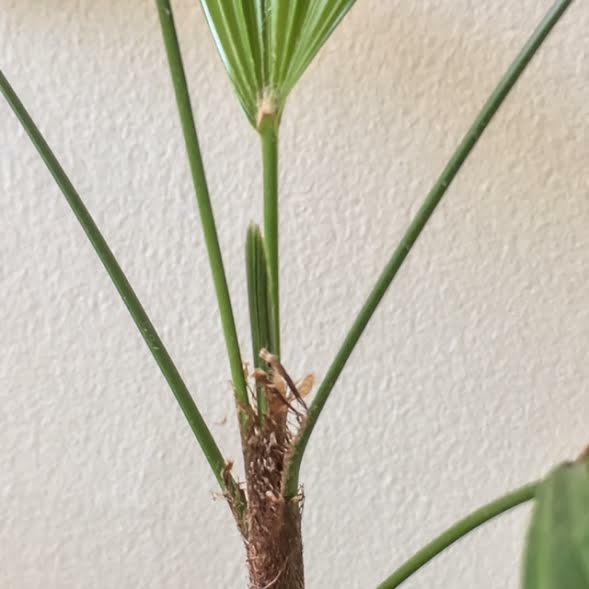 That spear, caught up to and opened at the same time as the newer palm with 4 leaves. That palm now has 5 leaves and the other 8. 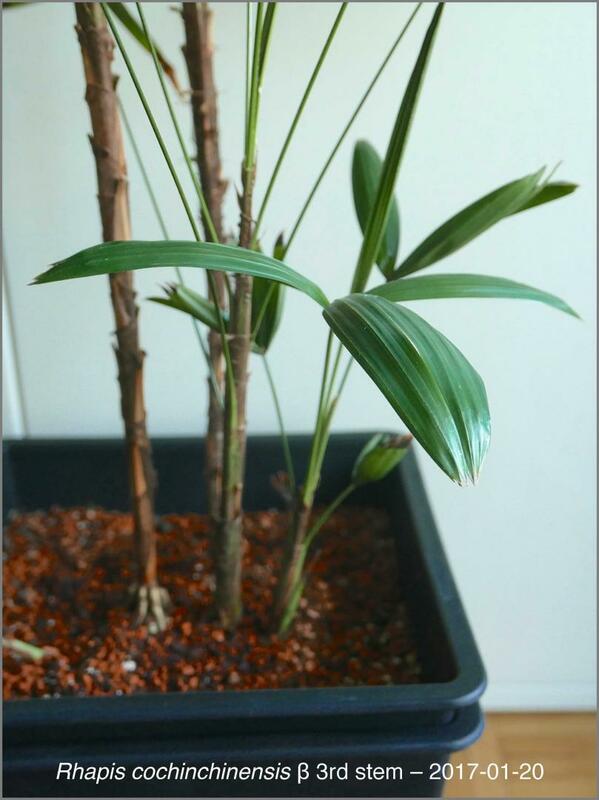 Now, each palm has since started pushing a new emergent spear which you will see in the new pics below. 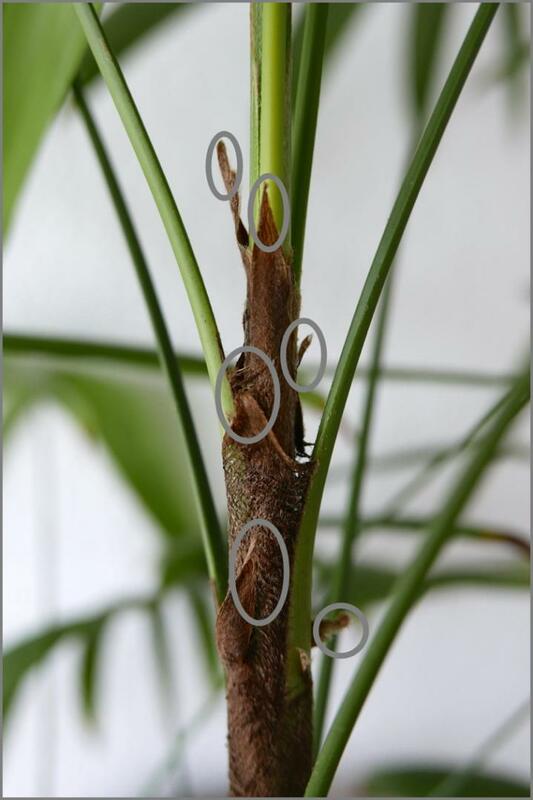 Note, the one with 5 leaves (the one I do not think is excelsa) its spear has barely pushed much at all, while the other one, has pushed its new spear which emerged at the same time, much much further. Nearly 1/2 way out now. So the growth rates are remarkably different with the palm with fewer and droopier leaves being much slower, while the one with more leaves and a bit stiffer leaves is growing much faster. New pics showing this are below taken this morning. 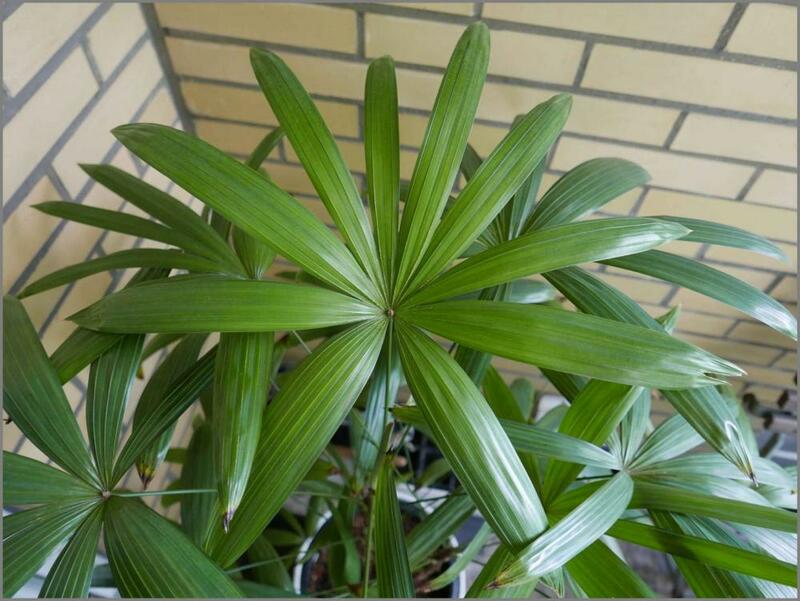 One other thing to note, the palm that now has 5 leaves, its newest leave that opened reverted back to a less mature 3 leaflet fan. The prior leaf had 4 leaflets. 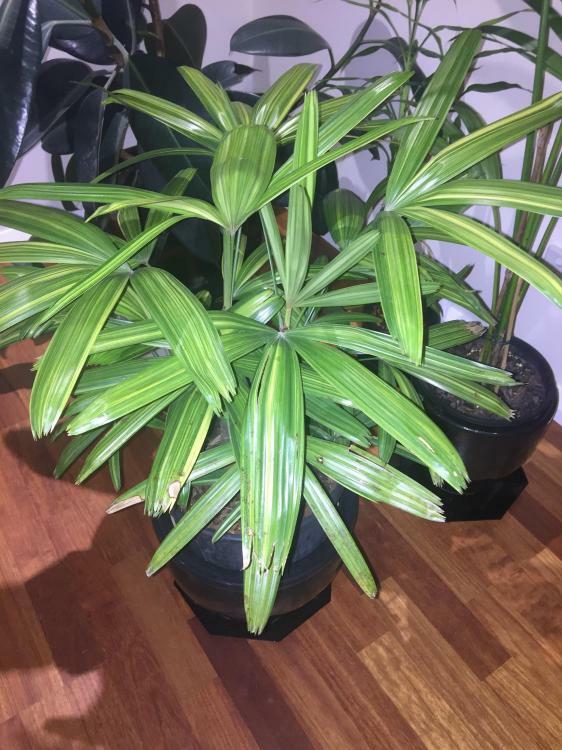 Not sure why it did this, perhaps its a product of it having been removed from the mother plant and repotted to be sold. They do well inground down here. the minimum temperature that you have had ? 18F long ago when I first planted them. Most winters about 25F.